Whether you're male or female, hair loss is probably something that you don't want to have to deal with. 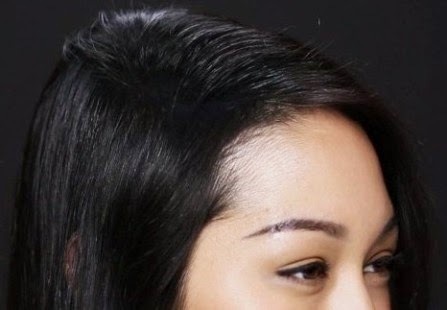 No one wants to put up with thinning hair, but many of us assume that it is something that is a part of life and not something that we can do much about. However just because hair loss seem inevitable that doesn't mean it is something that is easy to deal with. Thinning hair can have a massive dent on someone's confidence especially if it is hair loss that seems to be happening prematurely. The good news is that thinning hair is not something that you have to deal with and there are ways to treat it. One popular way is to use hair thinning sprays. These spray small particles onto your hair to make your hair look thicker. Of course this is not real hair but it is something that can look really effective. If this doesn't sound like something that would suit you then another viable option is to hair vitamins for hair loss. Vitamins for hair loss like this brand here have been designed to encourage hair to re-grow and grow back thicker. As you might imagine for a beauty product like this there are different versions. Ideally you want a vitamin that contains antioxidants and exotic extracts to encourage hair to grow. If you can find a product that contains keratin then even better because this will help dry and brittle hair. What you can do is start to take vitamins now and use a hair thickener spray for now to give your hair a thicker look. Then of course once these vitamins have started to do their job and your hair starts to look thicker on its own you can cut back on using the spray altogether.